The next stop on our journey to the most dog friendly cities in the United States is the beautiful city of Charleston, South Carolina. 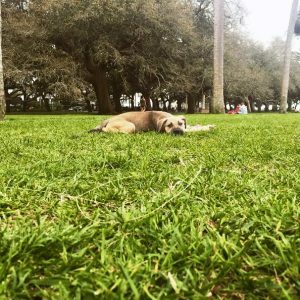 Not only is Charleston full of history and haunted grave yards, but it is also one of the most dog friendly cities you could visit. There is never a day that goes by that there are not dogs roaming throughout the town with their leashes in the hands of their people. If you want to experience beautiful scenery while enjoying a ghost story, or shopping at one of the numerous shops along the streets of downtown, look no further because you will be in for the experience of a lifetime. You must not worry either, because Fido will be welcomed in several places throughout the town. Providing your pooch is well behaved, and on a leash, you will be welcomed to shop together in most of the stores on Kings Street, or spend a day exploring all the unique shops throughout the Charleston City Market. Experience some one of a kind pieces of art displaying the views of the historical town, stop by and pick up a handmade, one of a kind sweetgrass basket to take home, or enjoy some of the tasty treats and snacks that are offered throughout the market. Your dog is welcome to enjoy all this excitement in the comfort of your arms. Although your furry companion won’t be allowed in all the shops in the city, you won’t be surprised with the generosity of the water bowls that are provided throughout, and it is never unexpected to see a pooch tied to a provided pole watching through the windows as the people shop inside. Nuppie, enjoying the sunshine at Battery Park. Second Sunday on King Street is a great way for your companion to meet other furry pals. The second Sunday of each month is filled with excitement from street performers, to food and shopping. People are quick to stop and pet a passing dog, and seeing a dog stretched out under a patio table while its people enjoy a bite to eat is nothing out of the ordinary. Enjoy a walking ghost tour with the Old Charleston Ghost Tours located at 80-Broad Street. This walking tour begins in Washington Park, and you and your leashed companion can enjoy a ninety-minute tour listening to some history of the Charleston ghosts, and if you listen carefully, you might even learn about the ghost dog that strolls through the streets. You and your furry pal can enjoy some of the Charleston history while taking in the shade of the old oak trees in Battery Park, or take a stroll together along the wall of the waterfront. After a long day of your pal walking beside you, why not unleash some energy at the Hazel Parker Park Dog Run, located at 70-E. Bay Street. 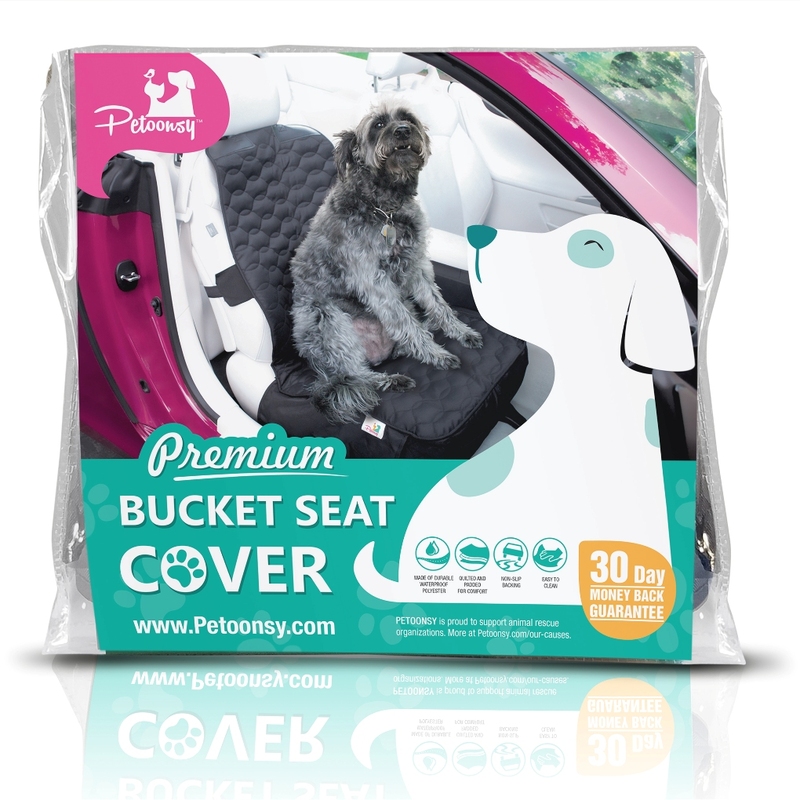 This will give you and your pal a chance to unwind and exhaust some energy, while meeting other dogs and their people. When you and your pooch have exhausted all your energy from the shopping and playing, it will be time to scout out a great place to share a meal. With the forty-three dog- friendly restaurants to choose from, you shouldn’t have a problem. If you enjoy the history and ghost stories, walk on down to 72 Queen Street to enjoy the great food served at Poogan’s Porch. The restaurant is set up inside a historical home, but you and your pooch are welcome to dine on the front porch. The founding story of the popular restaurant will fascinate you, and the atmosphere from the porch will surely amaze you. You and your pal can dine together at the Brown Dog Deli at 40 Broad Street. Enjoy a fresh salad and spectacular sandwich made fresh to order, while enjoying the company of other diners that are sharing the experience from the outdoor patio. Bubba Gump Shrimp Co., located at 99 S. Market Street will have your tummy content with one of their delicious seafood choices, and your pooch will be content as well while resting at your feet on the patio. If you are tired from walking, and your wallet is exhausted, put a twist on the day. You can travel by boat to Morris Island. This beautiful island is undeveloped and is located at the mouth of the Charleston Harbor. Let Fido run free from the leash while you collect some shells, and if you dig deep into the sand, you might find some shark teeth to take home with you. Look close out onto the water and you might catch a glimpse of the dolphins playing in the distance. If you would prefer, you can contact Adventure Harbor Tours for information about their three-hour dog friendly tours of the island. Of course, there will be a fee, but your dog can enjoy the tour for free. Nuppie and her daddy, enjoying a walk on the beach. 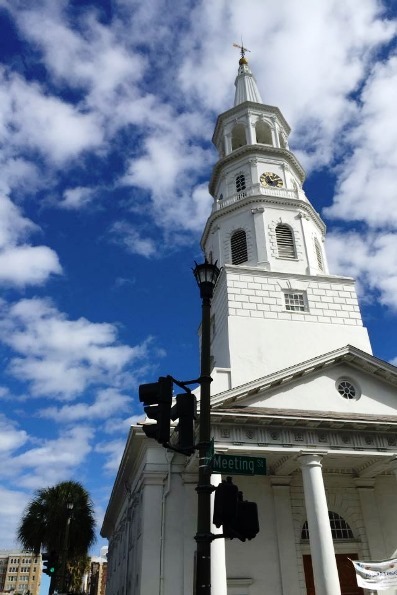 For more information about the activities and events throughout Charleston you can find a visitor center throughout the town. They are always happy to answer your questions, and their recommendations are always helpful. No matter where you choose to visit in Charleston, be sure to always keep your furry pal on a leash unless otherwise posted. Be sure to have plenty of water available, and at times, your pooch will need to “go,” so please be sure to clean up the mess. 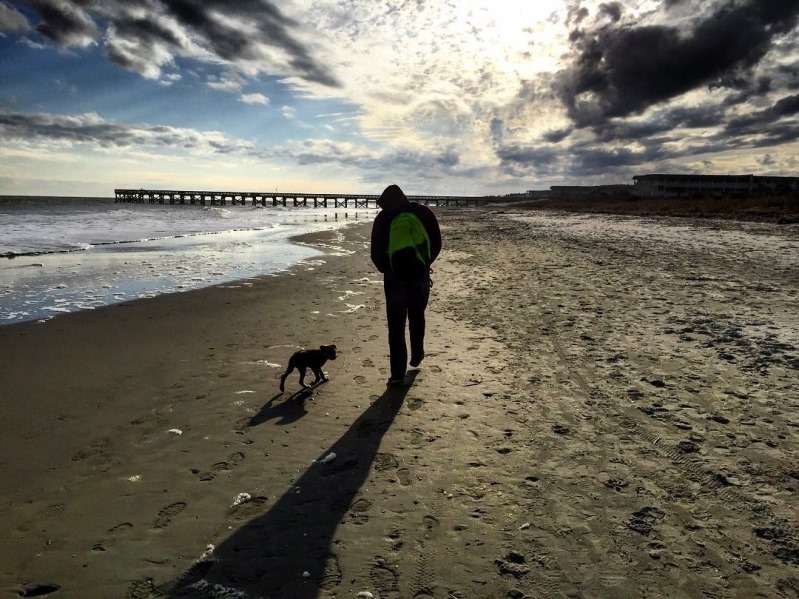 Have a great time in Charleston, and stay tuned for our next dog-friendly trip!